Import of scanned data in DXF, STL, IGES, G-Code or text format (other format on demand) as guidelines. Automatic fitting of a new model on the guidelines. Fit a Shape3d model from scanned data. 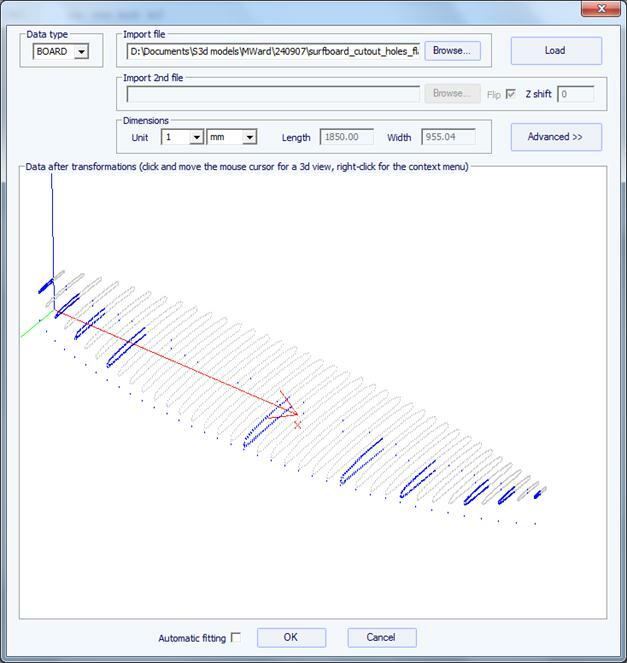 Rotation and translation of data before input and fitting. Already in use by the 3DM, ProCam and KKL machines (see CNC Machines). Import some IGES files straightforwardly, provided they contain only simple NURBS surfaces. Warning! The result of the automatic fitting is not guaranteed. It depends on the quality of the scan data.